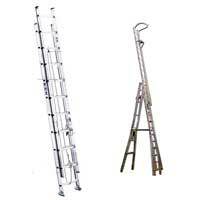 Manufactured from high tensile Aluminium alloys. 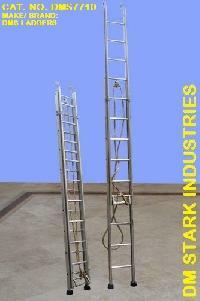 Universally used for industrial and fire fighting jobs. 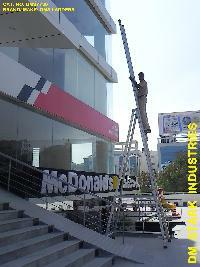 Fitted with manila ropes, pulley, safety locks & solid rubber shoes. 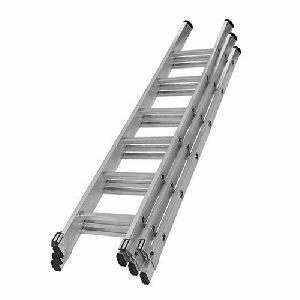 Aluminum 'C' Sections : 62 mm x 31 mm. 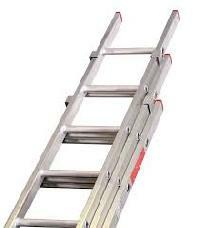 Having 1" dia. 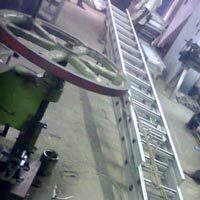 Non-slip corrugated tubing at 10" / 12" center to center. 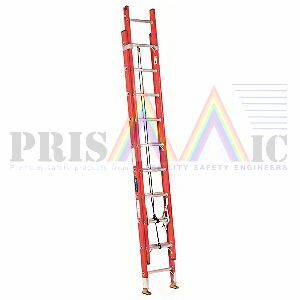 Light in Weight-Fire Proof-Dust Proof . 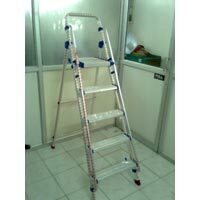 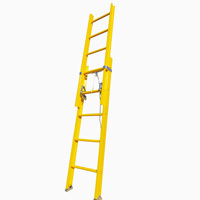 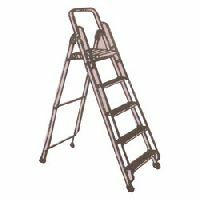 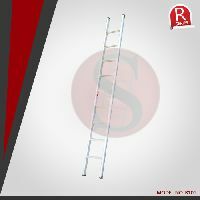 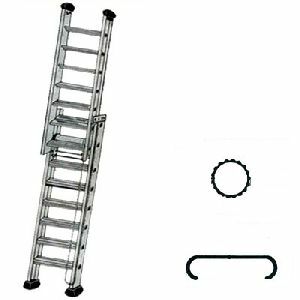 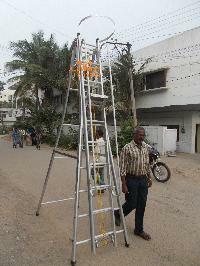 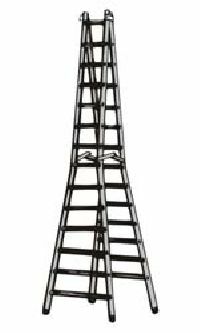 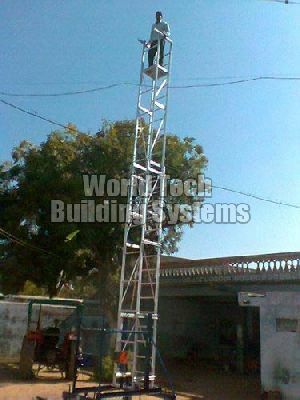 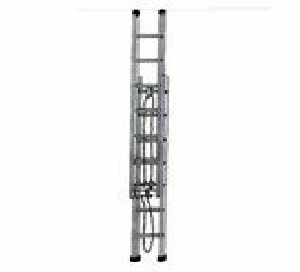 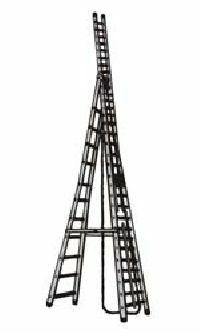 Two Interlocked Simple Ladder With Corrugated Rung Step, Rope, Pulley & Gravity Pawls for Extending and Non-Skid Rubber Shoes and Caps. 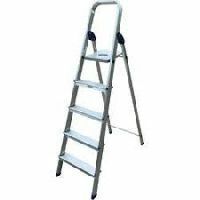 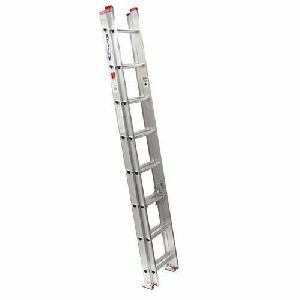 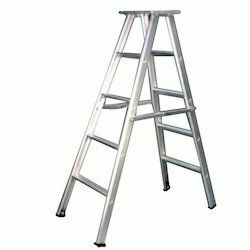 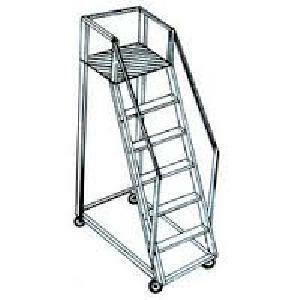 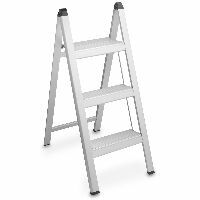 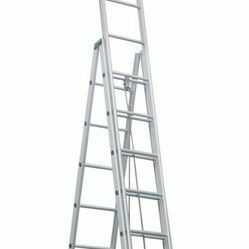 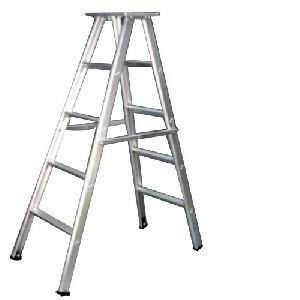 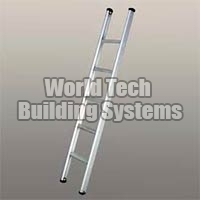 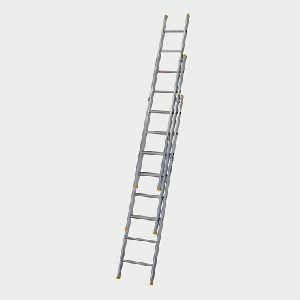 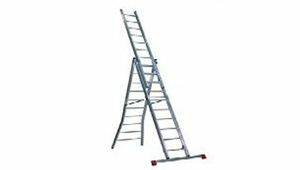 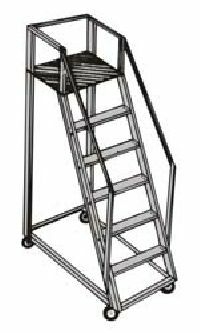 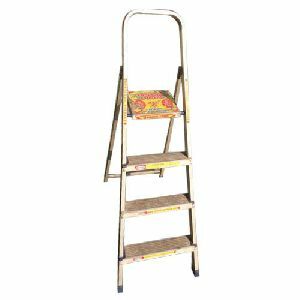 Available Height :- 6 feet to 40 feet made from high tensile thicker gauge (1Gauge) : Aluminium Section & Step made out from anti slip Aluminium out flated pipe. 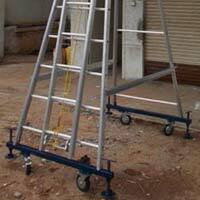 Features : Patented locks for quick & easy locking at all steps,Rope & pulley provided to extend & lower Etc. 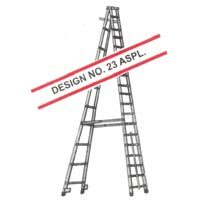 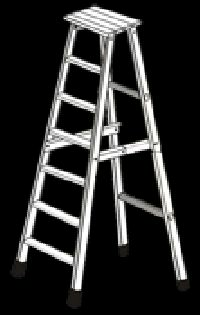 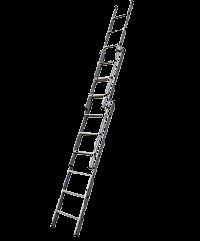 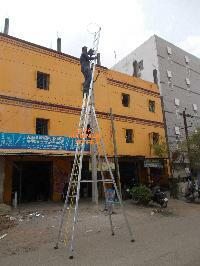 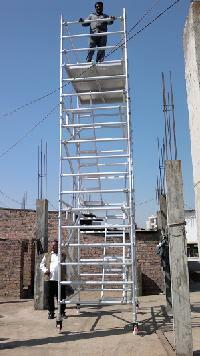 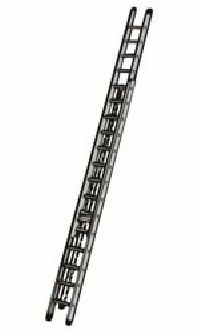 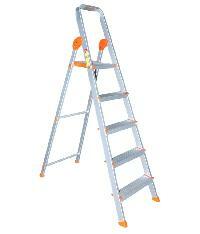 Ladder made from 67mm x 31mm x 3.15xx high tensile aluminium 'C' section. 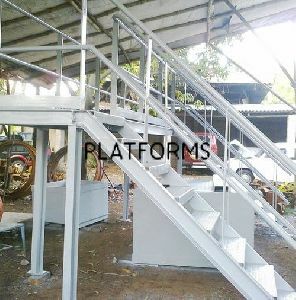 Steps made from non-slip type fluted pipe. 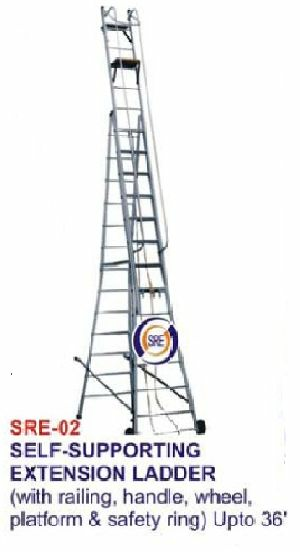 Manila rope and pendulum type lock for extension and locking. 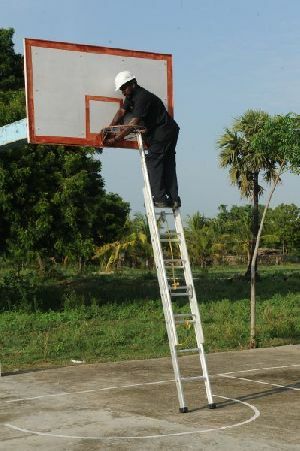 Rubber shoes for self-support. 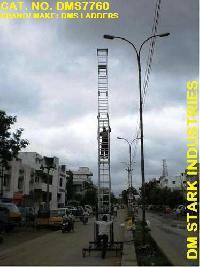 Load cap : 100 Kgs.